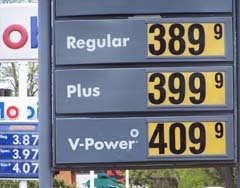 Will some of the efforts made to lower gas prices actually work? Everyday there seems to be a new idea to get us some help at the gas pump. Pam Moen of Wisconsin AAA says some have a better chance of succeeding than others, like if Saudi Arabia can be convinced to increase oil production. "Helping OPEC nations decide to release more crude oil into the global supply, could actually have the impact of calming down some of this crude oil trading frenzy," says Moen. "Because on the global scale, then you&apos;re looking at a much more ample supply picture." But Moen emphasizes it&apos;s commodities trading , not the supply and demand, that has been pushing up prices. "Supplies of crude oil and refined gasoline are actually quite healthy here in the United State," she notes. "The normal supply and demand economics that typically drive prices up are not participating in this most recent run up in prices." Moen says the silver lining is that high gas prices may have finally forced us to look at new sources for fuel and better ways of conserving energy.